Sweet Caramelized Onions + Peppery Sauteed Mushrooms + Crisp Pastry + Creamy Cheese Sauce = Yum yum YUM!!! If you've ever enjoyed this combination, I need not say more. If not, then you are definitely missing out on something. Raj definitely did, the guy just won't eat mushrooms. I had to make something else for him, but that's a recipe for another week. But for now, it's all about this individual sized portion of rich cheesy heaven. This Caramelized Onion Mushroom Tart is perfect for the cold winter days. Winter always makes me want to have rich warm food. I'll give you two options - wait for winter. When the nights are cold, snuggle up under a blanket on the sofa or next to the heater and eat a warm hearty sized portion of this amazing Caramelized Onion Mushroom Tart, OR, say why wait for winter when I can have this piece of yummy goodness right now. Read on to find out why you should be choosing option 2. Caramelized Onions are super delicious. Sweet, soft, rich brown is the way to go. Caramelizing onions is a slow process, you have to lovingly delicately coax those pungent crisp onions into sweet submission. But here's the good part, you can caramelize them in advance and stock them in your fridge. After that they can go into sandwiches, on top of crackers or soups, or you know, eat them just like that standing in front of your fridge. They taste great anyway. To caramelize the onions, slice the onions into slices and then gently fry them on low heat with a pinch of salt until they brown slightly. Then add balsamic vinegar, sugar or jaggery, and a little bit of water or stock and let them cook until they are sweet, soft and dark brown. Just make sure they never burn or they will turn bitter. I promise you this is the only time bit of the tart that actually takes some effort. Mushrooms - The easiest part of the tart. Clean them, slice them, saute them. Sprinkle over some salt and pepper and they are done. My favorite thing about mushrooms is how quickly they cook. Don't you just love it. I prefer when my mushrooms still have texture and bite to them, so I tend to undercook mushrooms. You go ahead and cook them how you like them. Remember, they also cook in the oven when the tart is baked after assembling. Pastry seem daunting to you? All that rubbing cold butter with flour until it resembles sand? Keep that for another day. What I have here is a vegan pastry that can be made in under 5 minutes. Well, except the baking part, of course. Here's a recipe I learnt a long time ago - whisk cold water with oil and it combines to form a smooth emulsion. Add flour and salt to this and gently fold in. No kneading required. In fact, the recipe asks you to not knead. Mix until combined and then refrigerate it for 15-20 mins and then roll out and blind bake them for 15 more minutes until they are done. Wasn't that the easiest pastry you ever made? The last bit is the Sauce. It is creamy, rich and cheesy. This sauce is what brings together the whole tart and also imparts the maximum flavour. It is a basic white sauce, may be slightly thicker than usual with added cheese. This sauce needs to be thick cause the tart does not contain any eggs, so a thin sauce will make your pastry soggy and the tart runny. To make the sauce, just fry flour in oil or butter and add milk. Add in the garlic, salt, pepper and nutmeg and simmer until you get the desired consistency. Then just mix in grated cheese and allow it to cool slightly before adding to the tart. Eggplant Pizza - Guilt free pizza made with grilled eggplant as the base, topped with tomato sauce and cheese. Caramelized Onion Mushroom Tart is a tart made with sweet caramelized onions, pepper sauteed mushrooms, an easy vegan pastry and creamy rich cheese-y white sauce. Heat 1.5 Tbsp Oil in a frying pan. Fry the onions on low heat until they are golden brown. Caramelizing onions takes time, this may take around 18-20 minutes. Add the balsamic vinegar, sugar or jaggery and 2 Tbsp of water and allow to cook for another 8-10 minutes. When the onions are brown, sweet and soft, remove from heat and keep aside. Heat oil in a pan and when it is hot, add the mushrooms. Saute the mushrooms for 4-5 mins until soft and remove from heat. Place the caramelized onions and mushrooms in the tart. Sprinkle another layer of onions and mushrooms on top. Awesome pics as always. They are making my mouth water. I love Mushroom pies, definitely trying this one out. Thanks Tara. Tell me if you love them as much as I do. I was looking everywhere for a vegetarian mushroom quiche recipe. Glad I stumbled on to your site. Keep up the good work. Thanks Janani. This recipe was actually inspired from a Mushroom Quiche. 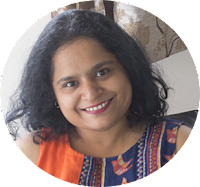 Thanks Anu for visiting my blog! This mini mushroom & onion tart is not only looking cute, but also is an appeasing vegetarian fix. Thanks Shibi... Loved your food photos.. some amazing clicks there.